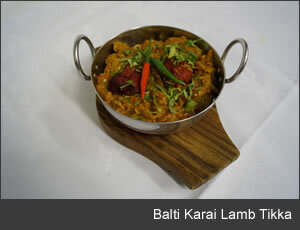 Lamb Tikka (tikka lamb marinated in tandoori spices) . 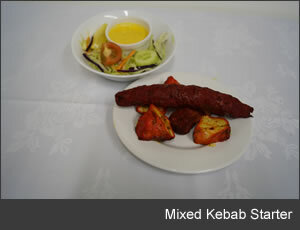 . . . . . . . . . . . . . . . . . . . . . . . .
Tandoori Mixed Kebab . . . . . . . . . . . . . . . . . . . . . . . . . . . . . . . . . . . . . . . . . . . . . . . . . . . . .
Shesh Kebab . . . . . . . . . . . . . . . . . . . . . . . . . . . . . . . . . . . . . . . . . . . . . . . . . . . . . . . . . . . . .
Starter Chicken Tikka . . . . . . . . . . . . . . . . . . . . . . . . . . . . . . . . . . . . . . . . . . . . . . . . . . . . . .
Onion Bhaji x 2 (served with mint sauce garnish) . 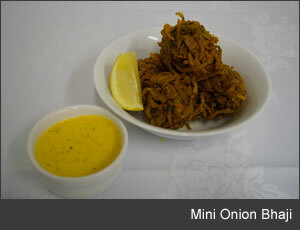 . . . . . . . . . . . . . . . . . . . . . . . . . . . .
Mini Onion Bhaji x 5 (served with mint sauce garnish) . . . . . . . . . . . . . . . . . . . . . . . . .
Bhuna Prawn on Puree (served with puree bread) . . . . . . . . . . . . . . . . . . . . . . . . . . . .
Bhuna Chicken on Puree (served with puree bread) . . . . . . . . . . . . . . . . . . . . . . . . . .
King Prawn Bhaji (served with puree bread) . . . . . . . . . . . . . . . . . . . . . . . . . . . . . . . . .
Vegtable Samosa x 3 (served with mint sauce garnish) . . . . . . . . . . . . . . . . . . . . . . .
Lamb Samosa x 3 (served with mint sauce garnish) . . . . . . . . . . . . . . . . . . . . . . . . . . . . . .
Chicken Chatt (served with puree bread) . . . . . . . . . . . . . . . . . . . . . . . . . . . . . . . . . . . .
Aloo Chatt (served with puree bread) . . . . . . . . . . . . . . . . . . . . . . . . . . . . . . . . . . . . . . . .
Channa Chatt (served with puree bread) . 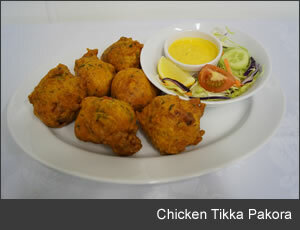 . . . . . . . . . . . . . . . . . . . . . . . . . . . . . . . . . . . .
Chicken Tikka Pakora . . . . . . . . . . . . . . . . . . . . . . . . . . . . . . . . . . . . . . . . . . . . . . . . . . . . .
Lamb Tikka Shashlik (cooked with fresh onion & peppers) . 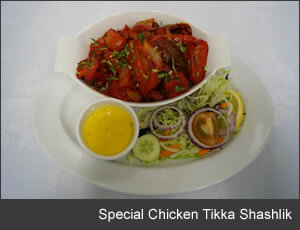 . . . . . . . . . . . . . . . . . . . .
Special Chicken Tikka Shashlik (cooked with fresh onion & peppers) . 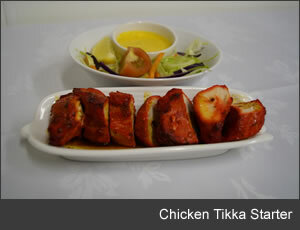 . . . . . . . . . .
Tandoori Chicken (cooked on the bone) . 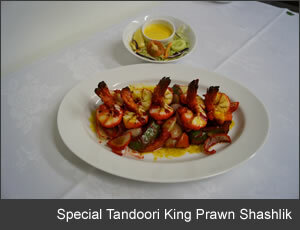 . . . . . . . . . . . . . . . . . . . . . . . . . . . . . . . . . . . .
Lamb Tandoori (cubed pieces of lamb marinated in tandoori spices) . . . . . . . . . .
Tandoori King Prawn (Tiger King Prawns) . 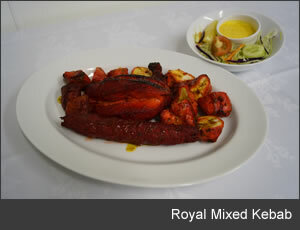 . . . . . . . . . . . . . . . . . . . . . . . . . . . . . . . . . .
Special Tandoori King Prawn Shashlik (cooked with fresh onion & peppers) . . . .
Royal Mixed Kebab . . . . . . . . . . . . . . . . . . . . . . . . . . . . . . . . . . . . . . . . . . . . . . . . . . . . . . .
Chicken Tikka Shashlik (cooked with fresh onion & peppers) . . . . . . . . . . . . . . . . . .
Special Garlic Chicken Tikka (garlic, onion & corriander) . . . . . . . . . . . . . . . . . . . . . .
Tandoori Lamb. 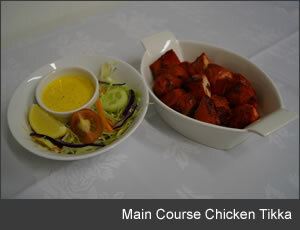 . . . . . . . . . . . . . . . . . . . . . . . . . . . . . . . . . . . . . . . . . . . . . . . . . . . . . . . . . .
Main Course Chicken Tikka (cubes of succulent breast chicken). 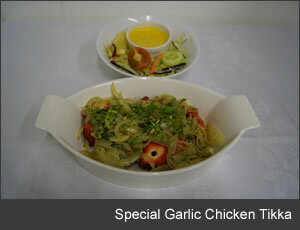 . . . . . . . . . . . . . .
Bengol Dishes are our Speciality! 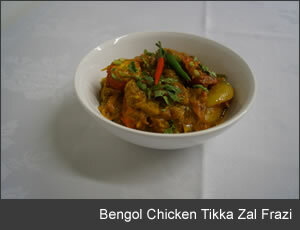 Bengol King Prawn Jal Frazi (Medium) . . . . . . . . . . . . . . . . . . . . . . . . . . . . . . . . . . . . . . . . .
Bengol King Prawn Massala (Mild) . . . . . . . . . . . . . . . . . . . . . . . . . . . . . . . . . . . . . . . . . . . .
Bengol Karai King Prawn (with fresh chilli) . 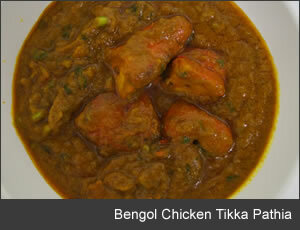 . . . . . . . . . . . . . . . . . . . . . . . . . . . . . . . . . . . .
Bengol Bhuna Chicken Tikka (Medium) . . . . . . . . . . . . . . . . . . . . . . . . . . . . . . . . . . . . . . .
Bengol Chicken Tikka Jal Frazi (Medium) . . . . . . . . . . . . . . . . . . . . . . . . . . . . . . . . . . . . . .
Bengol Lamb Tikka Jal Frazi (Medium) . . . . . . . . . . . . . . . . . . . . . . . . . . . . . . . . . . . . . . . .
Bengol Chicken Tikka Korma (Mild) . . . . . . . . . . . . . . . . . . . . . . . . . . . . . . . . . . . . . . . . . .
Bengol Chicken Tikka Rogan (Medium) . . . . . . . . . . . . . . . . . . . . . . . . . . . . . . . . . . . . . .
Bengol Chicken Tikka Dhansak (Medium) . . . . . . . . . . . . . . . . . . . . . . . . . . . . . . . . . . . .
Bengol Chicken Tikka Dupiza (Medium) . . . . . . . . . . . . . . . . . . . . . . . . . . . . . . . . . . . .
Bengol Chicken Tikka Pasanda (Mild) . 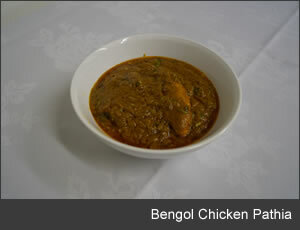 . . . . . . . . . . . . . . . . . . . . . . . . . . . . . . . . . . . . . .
Bengol Chicken Tikka Pathia (Fairly hot) . 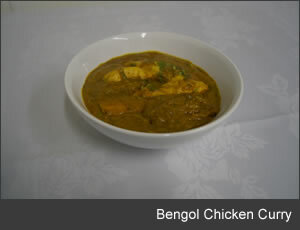 . . . . . . . . . . . . . . . . . . . . . . . . . . . . . . . . . . . .
Bengol Chicken Curry (Medium) . 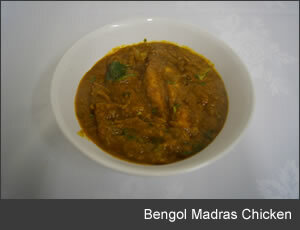 . . . . . . . . . . . . . . . . . . . . . . . . . . . . . . . . . . . . . . . . . .
Bengol Madras Tikka (Fairly hot) . . . . . . . . . . . . . . . . .. . . . . . . . . . . . . . . . . . . . . . . . . . .
Bengol Ceylon Chicken Tikka (Fairly hot) . . . . . . . . . . . . . . . . . . . . . . . . . . . . . . . . . . . .
Bengol Lamb Korma (Mild) . . . . . . . . . . . . . . . . . . . . . . . . . . . . . . . . . . . . . . . . . . . . . . . .
Bengol Prawn Korma (Mild) . 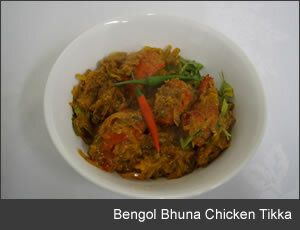 . . . . . . . . . . . . . . . . . . . . . . . . . . . . . . . . . . . . . . . . . . . . . .
Bengol Bhuna Prawn (Medium) . . . . . . . . . . . . . . . . . . . . . . . . . . . . . . . . . . . . . . . . . . .
Bengol Chicken Dupiza (Medium) . . . . . . . . . . . . . . . . . . . . . . . . . . . . . . . . . . . . . . . . .
Bengol Bhuna Vegetable (Medium) . 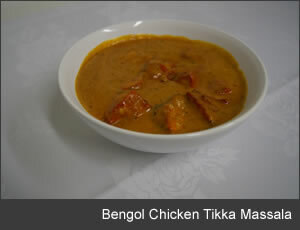 . . . . . . . . . . . . . . . . . . . . . . . . . . . . . . . . . . . . . .
Bengol Makani Chicken Tikka (Mild) . 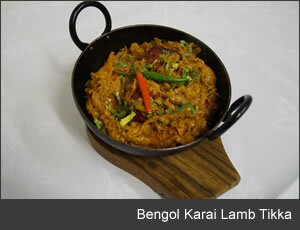 . . . . . . . . . . . . . . . . . . . . . . . . . . . . . . . . . . . . . .
Bengol Karai Lamb Tikka (with fresh chilli) . . . . . . . . . . . . . . . . . . . . . . . . . . . . . . . . .
Bengol Garlic Chicken Tikka . . . . . . . . . . . . . . . . . . . . . . . . . . . . . . . . . . . . . . . . . . . . . .
Bengol Malayan Chicken (Mild) . . . . . . . . . . . . . . . . . . . . . . . . . . . . . . . . . . . . . . . . . . . .
Bengol Baddamie Chicken Tikka (Mild) . . . . . . . . . . . . . . . . . . . . . . . . . . . . . . . . . . . .
Bengol Shahi Chicken or Lamb (Mild) . 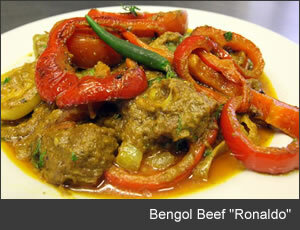 . . . . . . . . . . . . . . . . . . . . . . . . . . . . . . . . . . . .
Bengol Bhuna Lamb (Medium) . . . . . . . . . . . . . . . . . . . . . . . . . . . . . . . . . . . . . . . . . . .
Bengol Beef "Ronaldo" Created for Morpeth FC, Vase Winners 2016 . . . . . . . . . .
Bengol Kari Chicken Tikka (with fresh chilli). 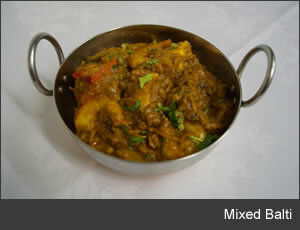 . . . . . . . . . . . . . . . . . . . . . . . . . . . . . . . .
Mixed Balti (hot). 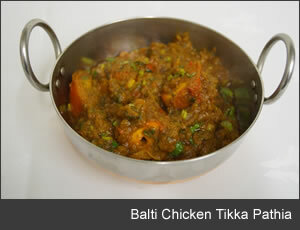 . . . . . . . . . . . . . . . . . . . . .. . . . . . . . . . . . . . . . . . . . . . . . . . . . . . . .
Balti Chicken or Beef (fairly hot). . . . . . . . . . . . . . . . . . . . . . . . . . . . . . . . . . . . . . .
Balti Chicken Tikka (fairly hot). . . . . . . . . . . . . . . . . . . . . . . . . . . . . . . . . . . . . . . . . .
Balti Lamb (fairly hot). . . . . . . . . . . . . . . . . . . . . . . . . . . . . . . . . . . . . . . . . . . . . . . .
Balti Prawn (fairly hot). . . . . . . . . . . . . . . . . . . . . . . . . . . . . . . . . . . . . . . . . . . . . . .
Balti King Prawn (fairly hot). . . . . . . . . . . . . . . . . . . . . . . . . . . . . . . . . . . . . . . . . .
Balti Chicken Tikka Rogan (fairly hot). . . . . . . . . . . . . . . . . . . . . . . . . . . . . . . . . . . . . .
Balti Chicken Tikka Dupiza (hot). . . . . . . . . . . . . . . . . . . . . . . . . . . . . . . . . . . . . . . . . .
Balti Chicken Tikka Pathia (fairly hot). . . . . . . . . . . . . . . . . . . . . . . . . . . . . . . . . . . . . .
Balti Chicken Tikka Dhansak (fairly hot). . . . . . . . . . . . . . . . . . . . . . . . . . . . . . . .
Balti Chicken or Lamb Dhansak (fairly hot). . . . . . . . . . . . . . . . . . . . . . . . . . . . . . . .
Balti Kari Chicken (fairly hot). . . . . . . . . . . . . . . . . . . . . . . . . . . . . . . . . . . . . . . . . . . .
Balti Kari King Prawn (cooked with green chilli). 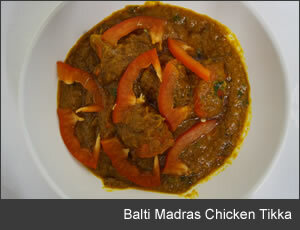 . . . . . . . . . . . . . . . . . . . . .. . . . . . .
Balti Chicken Tikka Jal Frazi (hot) . 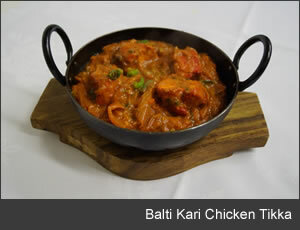 . . . . . . . . . . . . . . . . . . . . . . . . . . . . . . . . . . . . . . . . . .
Balti Achor Chicken Tikka (hot) . 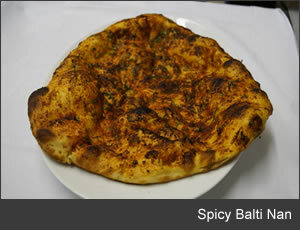 . . . . . . . . . . . . . . . . . . . . . . . . . . . . . . . . . . . . . . . . . . . .
Balti Amlee Chicken Tikka (fairly hot). . . . . . . . . . . . . . . . . . . . . . . . . . . . . . . . . . . . . . . . .
Balti Samba Chicken Tikka (fairly hot). . . . . . . . . . . . . . . . . . . . . . . . . . . . . . . . . . . . . . . .
Balti Methi Chicken Tikka (fairly hot). . . . . . . . . . . . . . . . . . . . . . . . . . . . . . . . . . . . . . . . . .
Chicken Tikka Jhal Noor Puri (fairly hot, green peppers, onion & tomatoes). . . . . .
Special Bhuna Lamb (strongly spiced with fresh spices) . . . . . . . . . . . . . . . . . . . . .
Karai Lamb Tikka (specially cooked Indian home-style, rather dry, fairly hot). . . . . .
Karai Chicken Tikka (fairly hot) . . . . . . . . . . . . . . . . . . . . . . . . . . . . . . . . . . . . . . . . . .
Desi Chicken Tikka (farily hot - home made country style) . 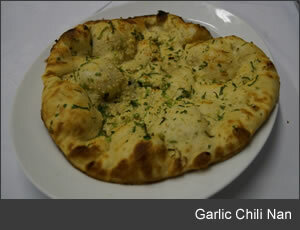 . . . . . . . . . . . . . . . . . . . .
Garlic Chilli Chicken Tikka . . . . . . . . . . . . . . . . . . . . . . . . . . . . . . . . . . . . . . . . . . . . . . .
Garlic Lamb or Beef . . . . . . . . . . . . . . . . . . . . . . . . . . . . . . . . . . . . . . . . . . . . . . . . . . .
Garlic Chicken Tikka . . . . . . . . . . . . . . . . . . . . . . . . . . . . . . . . . . . . . . . . . . . . . . . . . . .
Garlic King Prawn . . . . . . . . . . . . . . . . . . . . . . . . . . . . . . . . . . . . . . . . . . . . . . . . . . .
Amlee Lamb or Beef (cooked with tamarind, fairly hot) . . . . . . . . . . . . . . . . . . . . .
Achar Lamb or Chicken Tikka (cooked with homemade pickle) . . . . . . . . . .
Garlic Achar Chicken Tikka (cooked with homemade pickle) . 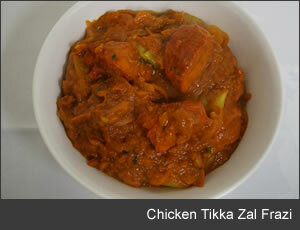 . . . . . . . . . . . . . .
Achar Samba Chicken Tikka (fairly hot with homemade pickle) . 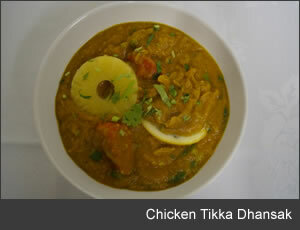 . . . . . . . . . . . . . .
Chicken Tikka Chom Chom (fairly hot with fresh egg) . 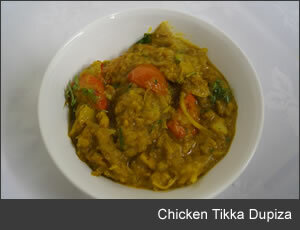 . . . . . . . . . . . . . . . . . . . .
Chicken Tikka Khas (cooked with green chilli, rather dry) . 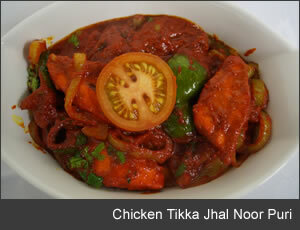 . . . . . . . . . . . . . .
Bringol Chicken Tikka (hot, cooked with fresh spices) . 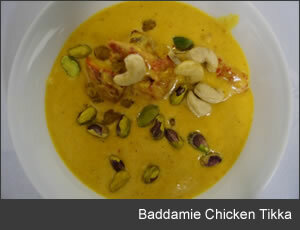 . . . . . . . . . . . . . . . . . . . .
Chicken Tikka Amlee (cooked with tamarind, fairly hot) . . . . . . . . . . . . . . . 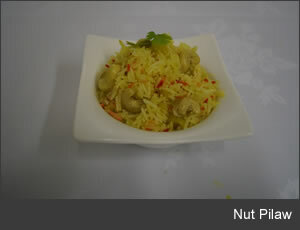 Prepared with Basmoti Rice, cashews, sultanas, tomatoes, sliced egg, etc. 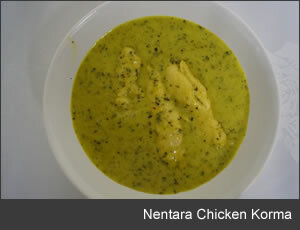 It is not a curry itself but served with a vegetable sauce. 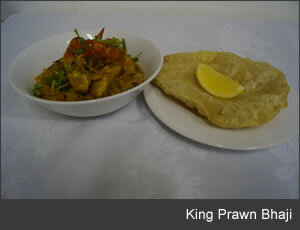 King Prawn Biryany . . . . . . . . . . . . . . . . . . . . . . . . . . . . . . . . . . . . . . . . . . . . . . . . . . . . . .
Prawn Biryany . . . . . . . . . . . . . . . . . . . . . . . . . . . . . . . . . . . . . . . . . . . . . . . . . . . . . . . . . . .
Chicken Biryany . . . . . . . . . . . . . . . . . . . . . . . . . . . . . . . . . . . . . . . . . . . . . . . . . . . . . . . . . .
Lamb Biryany . . . . . . . . . . . . . . . . . . . . . . . . . . . . . . . . . . . . . . . . . . . . . . . . . . . . . . . . . . . . Beef Biryany . . . . . . . . . . . . . . . . . . . . . . . . . . . . . . . . . . . . . . . . . . . . . . . . . . . . . . . . . . . . .
Sabzi Biryany (vegetable) . 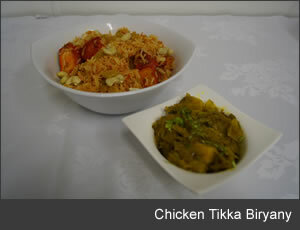 . . . . . . . . . . . . . . . . . . . . . . . . . . . . . . . . . . . . . . . . . . . . . . . .
Chicken Tikka Biryany . . . . . . . . . . . . . . . . . . . . . . . . . . . . . . . . . . . . . . . . . . . . . . . . . . .
Chicken Tikka Massala. . . . . . . . . . . . . . . . . . . . . . . . . . . . . . . . . . . . . . . . . . . . . .
Lamb Tikka Massala. . . . . . . . . . . . . . . . . . . . . . . . . . . . . . . . . . . . . . . . . . . . . . . .
King Prawn Massala. . . . . . . . . . . . . . . . . . . . . . . . . . . . . . . . . . . . . . . . . . . . . . . .
Chicken Korma (cooked in fresh cream, coconut and sultanas). . . . . . . .
Chicken Tikka Korma (cooked with cream, coconut and sultans). . . . . . . .
Lamb Korma (cooked in fresh cream, coconut and sultanas). . . . . . . . Beef Korma (cooked in fresh cream, cocounut and sultanas). . . . . . . .
Prawn Korma (cooked in fresh cream, cocounut and sultanas). . . . . . . .
King Prawn Korma (cooked in fresh cream, cocounut and sultanas). . . . . . . .
Chicken Tikka Passanda. . . . . . . . . . . . . . . . . . . . . . . . . . . . . . . . . . . . . . . . . . . . . . . .
Malayan Special Chicken (cooked with banana and pineapple). . . . . . . .
Shahi Chicken (cooked wiht cream, coconut & cashew nuts). . . . . . . . . . . . . . . .
Shahi Chicken Tikka (cooked wiht cream, coconut & cashew nuts). . . . . . . .
Shahi Lamb or Beef (cooked wiht cream, coconut & cashew nuts). . . . . . . .
Barfi Chicken Korma (creamy coconut, pistachio & cashew nuts). . . . . . . .
Kashmiri Chicken Tikka (with banana, cashew nuts & sultanas). . . . . . . .
Kashmiri Chicken (cooked with banana, sultana and cashew nuts) . . . . . . . . 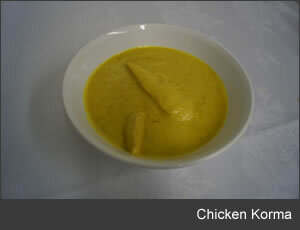 Plain Chicken Curry . . . . . . . . . . . . . . . . . . . . . . . . . . . . . . . . . . . . . . . . . . . . . . . . . 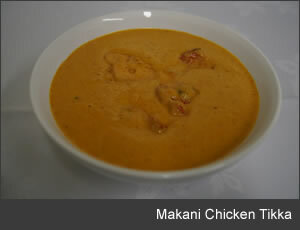 Plain Chicken Tikka Curry . . . . . . . . . . . . . . . . . . . . . . . . . . . . . . . . . . . . . . . . . . . . . . . . . 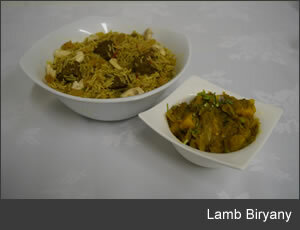 Plain Lamb or Beef Curry . . . . . . . . . . . . . . . . . . . . . . . . . . . . . . . . . . . . . . . . . . . . . . . . . Plain Prawn Curry . . . . . . . . . . . . . . . . . . . . . . . . . . . . . . . . . . . . . . . . . . . . . . . . . 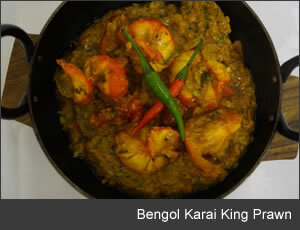 Plain King Prawn Curry . . . . . . . . . . . . . . . . . . . . . . . . . . . . . . . . . . . . . . . . . . . . . . . . .
Chicken and Mushroom Curry . . . . . . . . . . . . . . . . . . . . . . . . . . . . . . . . . . . . . . . . . . . .
Lamb or Beef and Mushroom Curry . 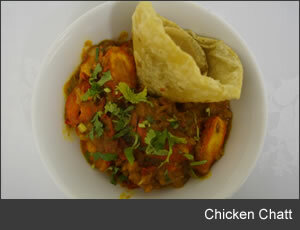 . . . . . . . . . . . . . . . . . . . . . . . . . . . . . . . . . . . . . .
Prawn and Mushroom Curry . . . . . . . . . . . . . . . . . . . . . . . . . . . . . . . . . . . . . . . . . . . . . . . . .
Chicken Tikka and Mushroom . 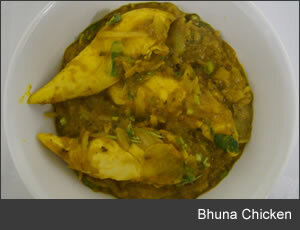 . . . . . . . . . . . . . . . . . . . . . . . . . . . . . . . . . . . . . . . . . . . .
Bhuna Chicken . . . . . . . . . . . . . . . . . . . . . . . . . . . . . . . . . . . . . . . . . . . . . . . . .
Chicken Tikka Bhuna (spicy dry dish) . . . . . . . . . . . . . . . . . . . . . . . . . . . . . . . . . . . . . . . .
Bhuna Lamb or Beef . 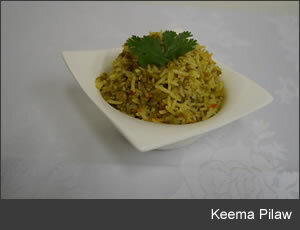 . . . . . . . . . . . . . . . . . . . . . . . . . . . . . . . . . . . . . . . . . . . . . . . .
Bhuna Keema . . . . . . . . . . . . . . . . . . . . . . . . . . . . . . . . . . . . . . . . . . . . . . . . .
Bhuna Prawn . . . . . . . . . . . . . . . . . . . . . . . . . . . . . . . . . . . . . . . . . . . . . . . . .
Main Bhuna Prawn on Puree . . . . . . . . . . . . . . . . . . . . . . . . . . . . . . . . . . . . . . . . . . . . . .
Rogan Chicken, Beef or Lamb (cooked with tomato) . . . . . . . . . . . . . . . . . . . . . . . . . . .
Chicken Tikka Rogan (spicy dry dish with tomatoes & onions) . . . . . . . . . . . . . . . .
Lamb or Beef Dupiza (strongly spiced with lots of onions) . 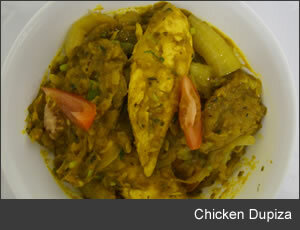 . . . . . . . . . . . . . . . . . . . .
Chicken Dpuiza . . . . . . . . . . . . . . . . . . . . . . . . . . . . . . . . . . . . . . . . . . . . . . . . .
Chicken Tikka Dupiza . 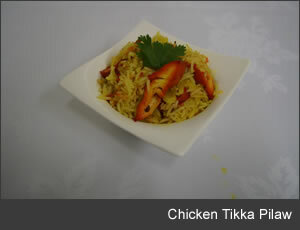 . . . . . . . . . . . . . . . . . . . . . . . . . . . . . . . . . . . . . . . . . . . . . . . .
Chicken Tikka Dhansak . 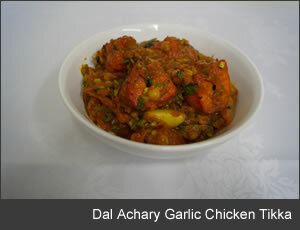 . . . . . . . . . . . . . . . . . . . . . . . . . . . . . . . . . . . . . . . . . . . . . . . .
King Prawn Dhansak . 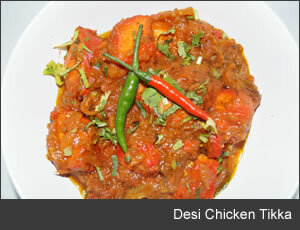 . . . . . . . . . . . . . . . . . . . . . . . . . . . . . . . . . . . . . . . . . . . . . . . .
Chicken Tikka Jal Frazi (spicy dry dish with tomatoes & onions) . 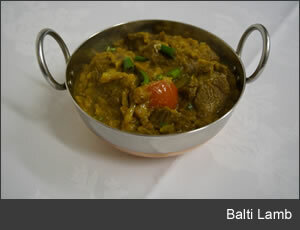 . . . . . . . . . . . . . .
Lamb Jal Frazi ( spicy dry dish with tomatoes & onions) . . . . . . . . . . . . . . . Sag Lamb (cooked with spinach) . . . . . . . . . . . . . . . . . . . . . . . . . . . . . . . . . . . . . . . 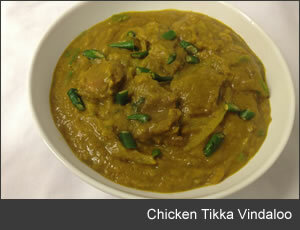 Sag Chicken Tikka (cooked with spinach) . 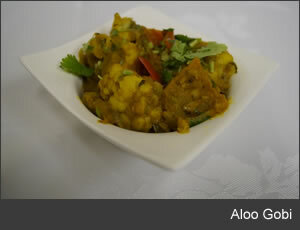 . . . . . . . . . . . . . .
Channa Lamb (strongly spiced with fresh spices & chick peas) . . . . . . . . . . . . . . .
Methi Lamb (chicken, lamb or beef) . . . . . . . . . . . . . . . . . . . . . . . . . . . . . . . . . . . . . .
Samba Chicken (fairly hot) . . . . . . . . . . . . . . . . . . . . . . . . . . . . . . . . . . . . . . . . . . . . . . .
Sabzi Lamb (hot - vegetables) . . . . . . . . . . . . . . . . . . . . . . . . . . . . . . . . . . . . . . . . . . . . .
Methi Chicken Tikka . . . . . . . . . . . . . . . . . . . . . . . . . . . . . . . . . . . . . . . . . . . . . . . . . . . . . . .
Achar Samba Chicken (fairly hot Channa Dal) . . . . . . . . . . . . . . . . . . . . . . . . . . . . . .
Madras Chicken . . . . . . . . . . . . . . . . . . . . . . . . . . . . . . . . . . . . . . . . . . . . . . . . . . . . . . .
Madras Lamb or Beef . . . . . . . . . . . . . . . . . . . . . . . . . . . . . . . . . . . . . . . . . . . . . . . . . .
Madras Prawn . . . . . . . . . . . . . . . . . . . . . . . . . . . . . . . . . . . . . . . . . . . . . . . . . . . . . . . . .
Madras King Prawn . . . . . . . . . . . . . . . . . . . . . . . . . . . . . . . . . . . . . . . . . . . . . . . . . . . . .
Ceylon Chicken (cooked with coconut) . . . . . . . . . . . . . . . . . . . . . . . . . . . . . . . . . . . .
Ceylon Lamb or Beef (cooked with coconut) . . . . . . . . . . . . . . . . . . . . . . . . . . . . . . .
Ceylon Prawn (cooked with coconut) . . . . . . . . . . . . . . . . . . . . . . . . . . . . . . . . . . . . . .
Ceylon Chicken Tikka (cooked with coconut) . . . . . . . . . . . . . . . . . . . . . . . . . . . . . . .
Prawn Phatia (pursee dish cooked in hot spices) . 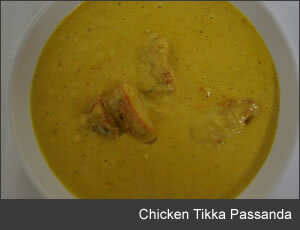 . . . . . . . . . . . . . . . . . . . . . . . . . .
Chicken Phatia (pursee dish cooked in hot spices) . 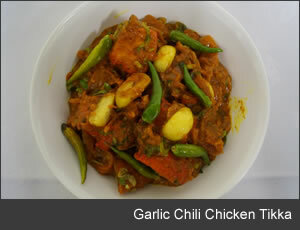 . . . . . . . . . . . . . . . . . . . . . . . .
Singapore Chicken (cooked with bhindi) . 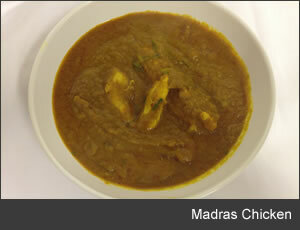 . . . . . . . . . . . . . . . . . . . . . . . . . . . . . . . . . .
Madras Chicken Tikka . 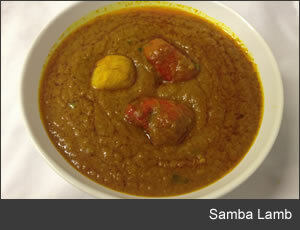 . . . . . . . . . . . . . . . . . . . . . . . . . . . . . . . . . . . . . . . . . . . . . . . . . .
Samba Lamb or Beef (cooked with fresh chilli & lentils) . . . . . . . . . . . . . . . . . . . . .
Chicken Tikka Vindaloo . . . . . . . . . . . . . . . . . . . . . . . . . . . . . . . . . . . . . . . . . . . . . . . . . .
Chicken Vindaloo (prepared with hot spices) . . . . . . . . . . . . . . . . . . . . . . . . . . . . . .
Lamb or Beef Vindaloo . . . . . . . . . . . . . . . . . . . . . . . . . . . . . . . . . . . . . . . . . . . . . . . . .
Prawn Vindaloo . . . . . . . . . . . . . . . . . . . . . . . . . . . . . . . . . . . . . . . . . . . . . . . . . . . . . . . .
Chicken Phal (extremely hot) . . . . . . . . . . . . . . . . . . . . . . . . . . . . . . . . . . . . . . . . . . . . .
Lamb or Beef Phal (extremely hot) . . . . . . . . . . . . . . . . . . . . . . . . . . . . . . . . . . . . . . . .
King Prawn Vindaloo . . . . . . . . . . . . . . . . . . . . . . . . . . . . . . . . . . . . . . . . . . . . . . . . . . . .
Chicken Tikka Phal . . . . . . . . . . . . . . . . . . . . . . . . . . . . . . . . . . . . . . . . . . . . . . . . . . . . . 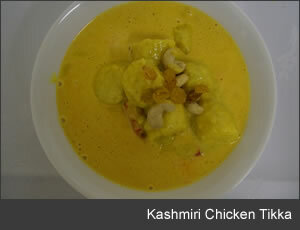 Vegetable Korma (cooked with cream, coconut & sultanas) . . . . . . . . . . . . . . . 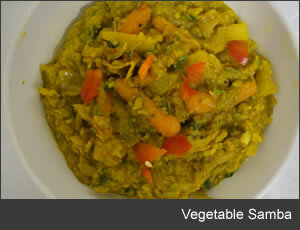 Vegetable Massala (cooked with ground cashew nuts) . . . . . . . . . . . . . . . . . . .
Channa Massala (cooked with ground cashew nuts) . . . . . . . . . . . . . . . . . . . . . 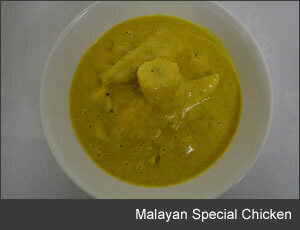 Vegetable Malayan (cooked with banana & pineapple) . . . . . . . . . . . . . . . 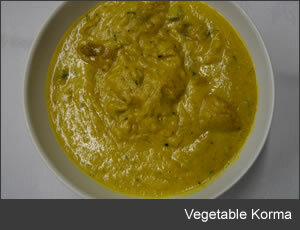 Vegetable Curry . . . . . . . . . . . . . . . . . . . . . . . . . . . . . . . . . . . . . . . . . . . . . 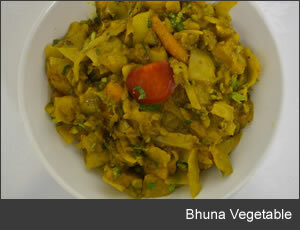 Vegetable Bhuna . . . . . . . . . . . . . . . . . . . . . . . . . . . . . . . . . . . . . . . . . . . . . Vegetable Dupiza . . . . . . . . . . . . . . . . . . . . . . . . . . . . . . . . . . . . . . . . . . . . .
Mushroom Dupiza . . . . . . . . . . . . . . . . . . . . . . . . . . . . . . . . . . . . . . . . . . . . . 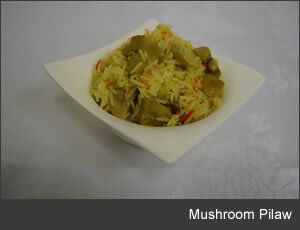 Vegetable Dhansak . . . . . . . . . . . . . . . . . . . . . . . . . . . . . . . . . . . . . . . . . . . . . Vegetable Garlic . . . . . . . . . . . . . . . . . . . . . . . . . . . . . . . . . . . . . . . . . . . . . Vegetable Phatia . 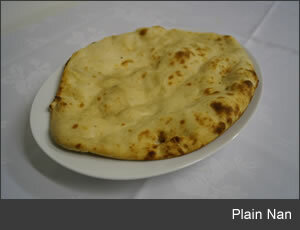 . . . . . . . . . . . . . . . . . . . . . . . . . . . . . . . . . . . . . . . . . . . .
Main Course Sag Panner (indian cheese) . 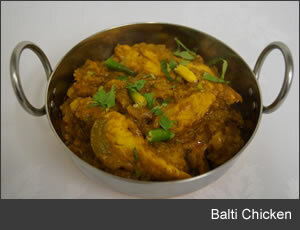 . . . . . . . . . . . . . . . . . . . . . .
Balti Vegetable . . . . . . . . . . . . . . . . . . . . . . . . . . . . . . . . . . . . . . . . . . . . . 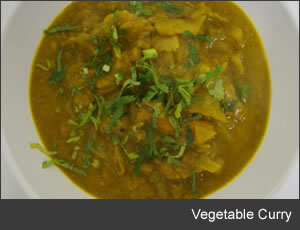 Vegetable Madras Curry . . . . . . . . . . . . . . . . . . . . . . . . . . . . . . . . . . . . . . . 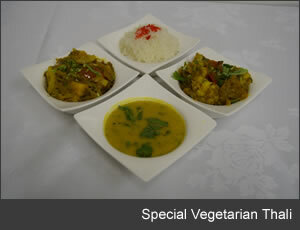 Vegetable Vindaloo . . . . . . . . . . . . . . . . . . . . . . . . . . . . . . . . . . . . . . . . . . . . . 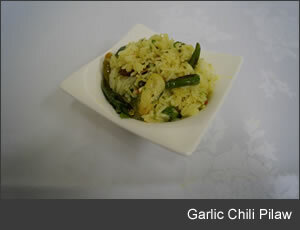 Vegetable Amlee (hot) . . . . . . . . . . . . . . . . . . . . . . . . . . . . . . . . . . . . . . . . . . Vegetable Samba (hot with lentils) . . . . . . . . . . . . . . . . . . . . . . . . . . . . . .
Gobi Samba (Fairly Hot) . . . . . . . . . . . . . . . . . . . . . . . . . . . . . . . . . . . . . .
Bengal Style Aubergine . . . . . . . . . . . . . . . . . . . . . . . . . . . . . . . . . . . . . 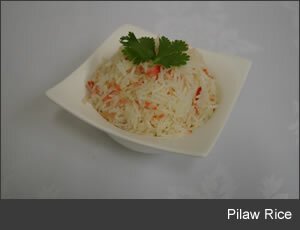 Plain Pilaw Rice . 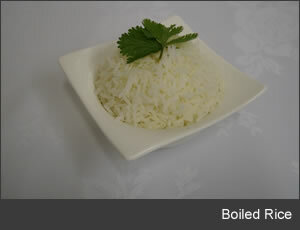 . . . . . . . . . . . . . . . . . . . . . . . . . . . . . . . . . . . . . . . . . . . .
Boiled Rice . . . . . . . . . . . . . . . . . . . . . . . . . . . . . . . . . . . . . . . . . . . . . 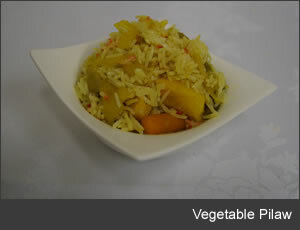 Vegetable Pilaw . . . . . . . . . . . . . . . . . . . . . . . . . . . . . . . . . . . . . . . . . . . . .
Mushroom Pilaw or Garlic Mushroom Pilaw . . . . . . . . . . . . . . .
Peas Pilaw . . . . . . . . . . . . . . . . . . . . . . . . . . . . . . . . . . . . . . . . . . . . .
Onion Pilaw or Garlic Onion Pilaw . . . . . . . . . . . . . . . . . . . . . . . . . . . . . .
Garlic Pilaw . . . . . . . . . . . . . . . . . . . . . . . . . . . . . . . . . . . . . . . . . . . . .
Channa Pilaw . . . . . . . . . . . . . . . . . . . . . . . . . . . . . . . . . . . . . . . . . . . . .
Nut Pilaw or Garlic Nut Pilaw . . . . . . . . . . . . . . . . . . . . . . . . . . . . . .
Mixed Pilaw . . . . . . . . . . . . . . . . . . . . . . . . . . . . . . . . . . . . . . . . . . . . .
Keema Pilaw or Garlic Pilaw (minced meat) . 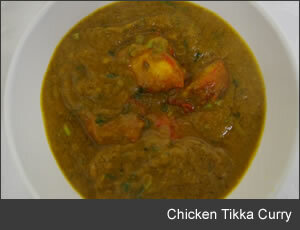 . . . . . . . . . . . . . .
Chicken Pilaw . 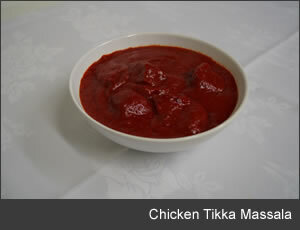 . . . . . . . . . . . . . . . . . . . . . . . . . . . . . . . . . . . . . . . . . . . .
Chicken Tikka Pilaw or Garlic Chicken Tikka Pilaw . . . . . . . . . . . . . . .
Prawn Pilaw . . . . . . . . . . . . . . . . . . . . . . . . . . . . . . . . . . . . . . . . . . . . . Egg Pilaw . . . . . . . . . . . . . . . . . . . . . . . . . . . . . . Egg Fried PIlaw . 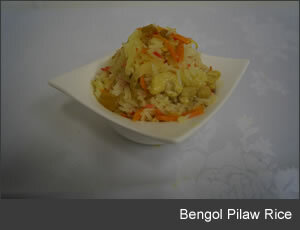 . . . . . . . . . . . . . . . . . . . . . . . . . . . . . . . . . . . . . . . . . . . .
Peshwari Pilaw (Bengol Special Rice - Sweet coconut rice) . 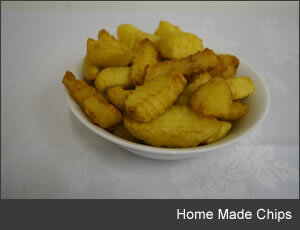 . . . . . .
Chips (fresh handcut chips) . . . . . . . . . . . . . . . . . . . . . . . . . . . . . . . . . . . 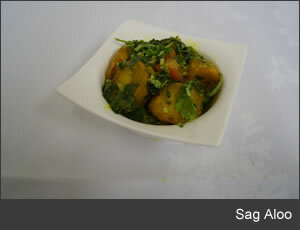 Sag Aloo (spinach and potato) . . . . . . . . . . . . . . . . . . . . . . . . . . . . . . . . . . . . . . . . 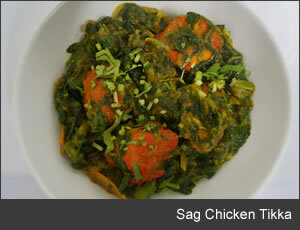 Sag Bhaji (spinach) . . . . . . . . . . . . . . . . . . . . . . . . . . . . . . . . . . . . . . . . . . . . .
Garlic Sag (spinach) . . . . . . . . . . . . . . . . . . . . . . . . . . . . . . . . . . . . . . . . . . . . . 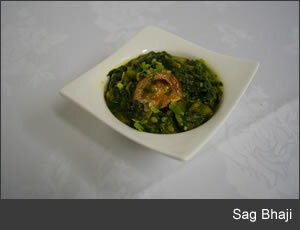 Sag Vegetable (spinach) . . . . . . . . . . . . . . . . . . . . . . . . . . . . . . . . . . . . . . . . . . . . . 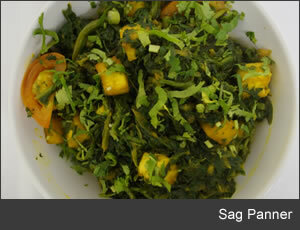 Sag Paneer (indian cheese) . . . . . . . . . . . . . . . . . . . . . . . . . . . . . . . . . . . . . . . . . Sag Keema (spinach & mince) . . . . . . . . . . . . . . . . . . . . . . . . . . . . . .
Bombay Aloo (potatoes) . . . . . . . . . . . . . . . . . . . . . . . . . . . . . . . . . . . . . . . . . . . . .
Aloo Gobi (cauliflower and potato) . . . . . . . . . . . . . . . . . . . . . . . . . . . . . .
Aloo Baigon (aubergines and potato) . . . . . . . . . . . . . . . . . . . . . . . . . . . . . .
Aloo Peas (peas and potato) . . . . . . . . . . . . . . . . . . . . . . . . . . . . . .
Aloo Keema (potato & mince) . . . . . . . . . . . . . . . . . . . . . . . . . . . . . . 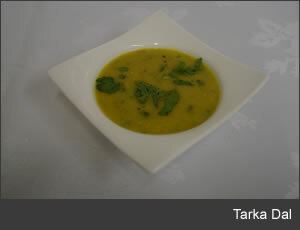 Vegetable Bhaji . 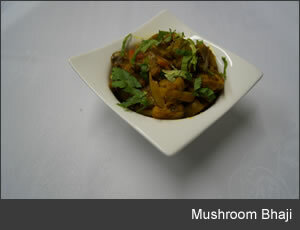 . . . . . . . . . . . . . . . . . . . . . . . . . . . . . . . . . . . . . . . . . . . .
Mushroom Bhaji . 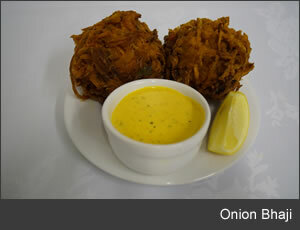 . . . . . . . . . . . . . . . . . . . . . . . . . . . . . . . . . . . . . . . . . . . .
Cauliflower Bhaji . . . . . . . . . . . . . . . . . . . . . . . . . . . . . . . . . . . . . . . . . . . . .
Brinjal Bhaji (aubergines) . . . . . . . . . . . . . . . . . . . . . . . . . . . . . .
Bhindi Bhaji (okra or ladies finger) . . . . . . . . . . . . . . . . . . . . . . . . . . . . . .
Channa Bhaji . . . . . . . . . . . . . . . . . . . . . . . . . . . . . . . . . . . . . . . . . . . . .
Chana Keema (chick peas & mince) . . . . . . . . . . . . . . . . . . . . . . . . . . . . . .
Dal Samba (vegetable & lenti, sour & hot) . . . . . . . . . . . . . . . . . . . . . . . . . . . . . .
Brinjal Samba (aubergines & lentils, hot) . . . . . . . . . . . . . . . . . . . . . . . . . . . . . .
Tarka Dal (flavoured liquid lentils) . . . . . . . . . . . . . . . . . . . . . . . . . . . . . .
Nan. . . . . . . . . . . . . . . . . . . . . . . . . . . . . . . . . . . . . . . . . . . . . . . . . . . . . . . . . . . . . . . . . . . . .
Peswari Nan (with ground cashews and sultanas). . . . . . . . . . . . . . . . . . . . . . . . . .
Garlic Nan. . . . . . . . . . . . . . . . . . . . . . . . . . . . . . . . . . . . . . . . . . . . . . . . . . . . . . . . . . . . . . .
Keema Nan (with mince meat). . . . . . . . . . . . . . . . . . . . . . . . . . . . . . . . . . . . . . . . . . . .
Garlic Chilli Nan. . . . . . . . . . . . . . . . . . . . . . . . . . . . . . . . . . . . . . . . . . . . . . . . . . . . . . . . . .
Garlic Keema Nan (with mince meat). . . . . . . . . . . . . . . . . . . . . . . . . . . . . . . . . . . . . .
Onion Nan. . . . . . . . . . . . . . . . . . . . . . . . . . . . . . . . . . . . . . . . . . . . . . . . . . . . . . . . . . . . . . .
Garlic Peshwari Nan (with ground cashews and sultanas ). . . . . . . . . . . . . . . . . . .
Chicken Tikka Nan. . . . . . . . . . . . . . . . . . . . . . . . . . . . . . . . . . . . . . . . . . . . . . . . . . . . . . . .
Balti Chicken Tikka Nan. . . . . . . . . . . . . . . . . . . . . . . . . . . . . . . . . . . . . . . . . . . . . . . . . .
Garlic Chicken Tikka Nan. . . . . . . . . . . . . . . . . . . . . . . . . . . . . . . . . . . . . . . . . . . . . . . . . .
Garlic & Cheese Nan. 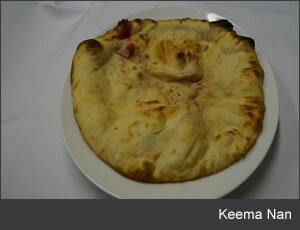 . . . . . . . . . . . . . . . . . . . . . . . . . . . . . . . . . . . . . . . . . . . . . . . . . . . .
Keema Cheese Nan. . . . . . . . . . . . . . . . . . . . . . . . . . . . . . . . . . . . . . . . . . . . . . . . . . . . . .
Chicken Tikka & Cheese Nan. . . . . . . . . . . . . . . . . . . . . . . . . . . . . . . . . . . . . . . . . . . . . .
Paratha. . . . . . . . . . . . . . . . . . . . . . . . . . . . . . . . . . . . . . . . . . . . . . . . . . . . . . . . . . . . . . . . . .
Chapati. . . . . . . . . . . . . . . . . . . . . . . . . . . . . . . . . . . . . . . . . . . . . . . . . . . . . . . . . . . . . . . . . .
Puree. . . . . . . . . . . . . . . . . . . . . . . . . . . . . . . . . . . . . . . . . . . . . . . . . . . . . . . . . . . . . . . . . . .
Papadam. . . . . . . . . . . . . . . . . . . . . . . . . . . . . . . . . . . . . . . . . . . . . . . . . . . . . . . . . . . . . . . .
Pickles (per portion). . . . . . . . . . . . . . . . . . . . . . . . . . . . . . . . . . . . . . . . . . . . . . . . . . . . . .
Mint Sauce (Yellow Yoghurt Mint Sauce Garnish). . . . . . . . . . . . . . . . . . . . . . . . . . . . .
Pickle Set (mango chutney, spicy pickle, onion salad). . . . . . . . . . . . . . . . . . . . . . . .
therefore there may be traces in dishes that don't contain it, even though we will try our best to prevent it.